PartsCheck enables direct communication between repairers and suppliers Australia-wide and simplifies the process of managing quotations, purchasing and receipting in a centralised location. PartsCheck is a fast-growing company that aims to save you time by managing your parts easier. "After being approached by David Taylor & Matt Roggenkamp to give "PartsCheck" a trail I was very sceptical about this new program and I had trouble seeing the benefit for our company with all the other programs on the market. Well I was certainly proved wrong, we have found that PartsCheck if used correctly and in the way it was designed can not only improve the productive of the Parts Interpreters and the running of the Parts Department. It would have to rank up there at the top for a business system for the Panel Beater." "Parts Check is a great new tool for the automotive panel industry, we are quoting & processing customer order’s on the system daily with ease & find the system very user friendly. It also has great advantages to help the panel shop owners manage a lot of their processes including credits, which is normally time consuming. When used to its potential Parts Check looks to be an all-round package that will make life easier for all involved." "We are happy with PartsCheck. It is definitely helping us with more business in that it has helped us with the repairer side of our business. With full vehicle information including photos, it is easier to submit requests for the parts the repairer wants and also add parts to make a more accurate quote .PartsCheck works well on the repairer side, enabling them to send quotes to multiple suppliers. Being a free tool for repairers, it’s a time saver at both ends." "Working with this program has made our life in sales and identifying auto parts a lot easier. Less phone calls creates more time for us to work on other parts of our business. Through this program it has helped us gain more customers and our service is continually improving with the help of parts check.."
"PartsCheck has made life so much better from a parts supplier perspective. We are given enough time to quote parts thoroughly, enabling us to be more effective in getting the quotes back to our customers on time. 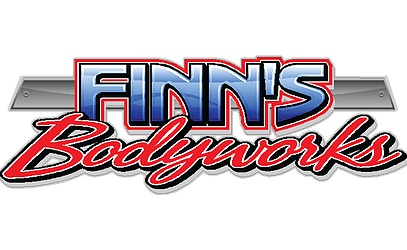 We hope that all of our bodyworks partners will get on board with this program!" "Due to my repairer network joining up with PartsCheck, I thought it would be the right thing to support them and jump on board. I have found the system easy to use and it gives me more information with photos and vehicle information to supply the correct parts. I would encourage more repairers to consider the PartsCheck option." 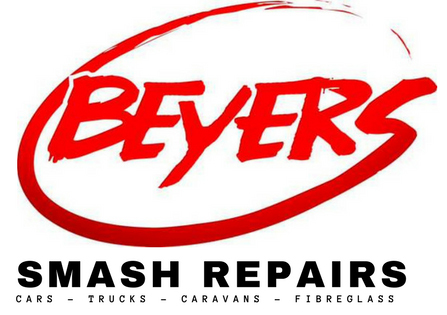 "I have been in the smash repair industry for over 11 years & my family has been in it for over 60 years. Throughout this time there has always been the huge problem of obtaining & entering part prices. We'd need to get the same part quoted from different suppliers (Genuine & aftermarket etc), then manually type in the part numbers & prices. This left so much room for human error, was tedious & frustrating, not to mention a time consuming task for admin staff & incorrect orders leading to credits etc etc – the list goes on. For years we were looking for something like Parts Check to seamlessly integrate with our current systems & procedures but had no such luck. When Parts Check was established we were keen to get on board from the onset. To date it has been the best thing we could have done for our business! We aim to be efficient in every process we do, so this is a highly valued program. It’s completely easy & user friendly. Eliminates so many errors. Saves so much time. David & his team are approachable, easy to work with & constantly update the program with further improvements. It will only improve your parts quoting, ordering, receiving & credits & is all online. My only criticism is that it was not invented sooner!!!" "PARTSCHECK makes the day to day parts pricing and sourcing easy, no wasted time ringing several suppliers, no re-keying part numbers and prices, it is a one stop solution." "PartsCheck simplifies the way we source parts and helps us manage our parts margins. Being able to send a quote to ten suppliers with images save so much time off the phone. Highly recommended." "Working with Parts Check is an absolute time saver, it has significantly reduced our time on the phone to part suppliers, increased our availability to prepare quotes and allowed us more time to better handle our customer service. It is an extremely easy tool to use and David is always there to help with a smile and is very interested in meeting all repairer & dealer enquiries. I would recommend the use of this timesaving package to anyone wanting to streamline their business and reduce administration costs." "Parts Check has provided us with a solution to finding greater efficiencies throughout our organisation. It is rare to find one program alone that has so many positive benefits tailored to the needs of our industry." "I started my business 6 years ago and in the beginning i was phoning up parts suppliers, reading out vin numbers over the phone, typing in part numbers and prices which was adding up to alot of time, and we all know time is money! once i found out about partscheck i was over the moon, they provided me with some simple training over the phone and away i went, and i havnt looked back!It has worked wonders for my business and nowadays could not be without it, ive also referred PartsCheck to a friend of mine who owns a panel shop (Sampson car repairs Tamworth) and theyve started using it aswell and love it! Anyone out there who runs their own panel shop and is not using partscheck needs to do themself a favour and get onto PartsCheck!" "PartsCheck helped our company immensely. It saved time quoting and ordering through our suppliers. It has also made receipting parts and credit management a lot less time consuming. Thanks to the PartsCheck team for this great platform and continued support." "I have taken a great deal of time to write about the Partscheck ordering system because I wanted to be sure that it was not going to be a promise everything and deliver nothing computer program. I am now pleased to say that I have been using Partscheck for approximately four and a half years and in the early days we had encountered a range of minor issues that were not user friendly but we gradually worked together with David and his team to develop a parts ordering system I believe no1. In this industry. Being able to store pricing from all our suppliers indefinitely and knowing exactly which supplier quoted what part and how much, has taken away an enormous amount of frustration and argument over pricing that in the past was , we wouldn’t have quoted that price! Having Partscheck has been an important tool in our business helping us maintain and build better relationships with our suppliers, as it allows both sides to see how each other is performing. In this super competitive market I can’t see how we could be effective without it!" "Seriously we couldn‘t run our business without PartsCheck now after using it for over a year. It’s just not funny how easy it makes ordering, tracking, receiving and crediting parts. Also the other big plus is the auto import no more typing lines and lines of part numbers or endless hours manually receipting invoices - It truly is a great innovation"
"I have been using parts check for many months now and find it quick and easy to use. Not only does it help by keeping staff working and off the phones, but also gives us true price comparisons of after market, second hand, exchange or remanufactured parts and gives us the opportunity to compete where possible. Another advantage is it enables you to monitor and control your backorders with ease so we aren’t stuck with parts no longer required creating a simple but effective communication channel between supplier and panel shop. I highly recommend this product"
"Our group have been using PartsCheck since November 2017. This is the latest tool to assist the automotive panel industry. Quoting and processing of orders from our end found to be user friendly. Panel shops are also able to manage some of their processes through this system including returns for credit." "We at Car & Truck Hospital highly recommend using PartsCheck. We have used it for a number of years and cannot speak highly enough about it.One thing we can say for sure is that it definitely saves us heaps of time when estimating and in todays times this is of the essence.Anyone who does not have PartsCheck should get it Now!!!" "We at Jackman’s Bodyworks have found the transition to PartsCheck well worthwhile.The system makes the whole process of requesting a quote to ordering so much easier and faster.And new ideas for better function are coming through regularly.Well done to the PartsCheck Team!" "I have been using PartsCheck for about 3 ½ years have found it a great tool to create more business for Ashdown-Ingram. The whole system is simple and easy to use - from quoting to receiving orders. Being able to look up my invoice history is also a very handy tool to have to keep on track of orders. The staff are also very helpful and are always quick to respond with advice and help." "Easy to use and saves us time thanks." 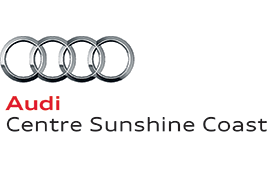 "Audi Centre Sunshine Coast has been a user of PartsCheck for several years & are most impressed by all facets of the business. It is not only a great tool for the panel industry but as a supplier it is its own reporting & order tracking system which has the ability to monitor outstanding credits, orders & reports that aid with your day to day business. 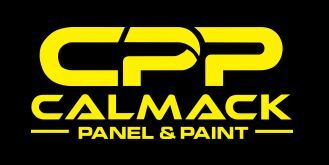 The biggest positive for our business is the customer base it opens to us, we have grown our business dramatically through the ability to make contact with these panel shops & offer our services. Another area that aids the dealer based suppliers is the ability to monitor other non-genuine or used suppliers pricing, thus allowing competitive quoting/price matching. We have a lot to thank PartsCheck for as it is a crucial part of our business, essentially like having a secondary parts rep but online. I would highly recommend PartsCheck to any supplier or panel shop looking to streamline their business. " "I have been using PartsCheck for about 4 years and find it very time effective and easy to use.Over these 4 years my business has been able to grow strong partnerships with truck parts companies. I can send them quote requests, move on to do other important work and then view them once they are returned.Definitely, one of the easiest systems I have ever used and very time effective!" "Parts check is a great concept 1 call gets em all - send out your request compare them when they come back save heaps of time and make more profit can’t beat that"
"PartsCheck has been fantastic for our business saving our estimators hours in down time waiting on part prices. It is a tool that gives you the ability to increase both profit margins & quality of the parts you use. 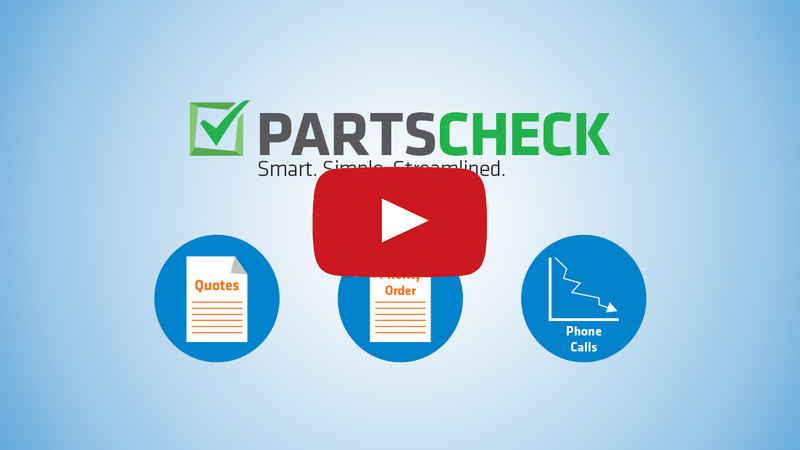 PartsCheck gives you the information simply & quickly to make the best decisions on parts availability, quality ,cost effectiveness & profitability. It has also made our business more competitive in a ever changing Industry." "Since signing up to PartsCheck and becoming familiar with its features, I've found it to be a huge benefit within our business. PartCheck not only allows you to save time on data entry but also gives you the added bonus of sourcing parts from multiple suppliers for the best possible price. I couldn't imagine going back to the old method." "Tilford Pty Ltd have been a user of PartsCheck since November 2017 & as a supplier of genuine parts we find it an easy system to use with benefits to both our business & the panel shops who are requesting parts prices. strongly recommend the PartsCheck system." "We have been a part of PartsCheck since it first came to Tasmania in 2017. We find it an excellent tool.Our repairers have embraced the system and like how easy it is to use, and at no cost to them. I believe as a preferred supplier on the PartsCheck system, our business has increased. We have more time to submit quotes which helps our repairers to get a more detailed parts quotation." "We find PartsCheck very helpful, we now order our parts much more profitably!" "Finally PartsCheck has come to Tasmania! We have been hearing about this program from our sister shops up north and it is all of what we were told - simple, easy and a great time saver.Reduces data entry & phone calls. It’s early days yet and I am sure with the great support network, we will get even more benefits from this must have tool.."
After using Parts Check I can’t imagine the trade without it . Receipting parts can be as quick as two or three clicks of the mouse, and being able to search 5 suppliers at one time really leave the options open for selection ITS A GREAT TOOL FOR THE TRADE." "I thought it time to write to you and thank you for introducing us to Partscheck last year. Since taking the system on board, we now have both businesses using it consistently across most of our parts sourcing and supply needs. We are not a panel shop, who are your traditional end user clients, but work in the same industry as you well know. Our specialty is the repair and reinstatement of accident damaged steering, suspension and drivetrain components, we work specifically for the crash repair industry. Partscheck works for us just the same. We also undertake more common mechanical repairs from time to time as well, but most of our focus is on accident related work. Partscheck, while not designed for our sector has fitted in with ease and simplicity. While there was an initial hesitance to ‘get on board’ once we did, we wondered why not sooner? Over the years I have seen several parts sourcing systems either in trials, on line in use, and some just in development, most had problems. So much so that we abandoned all of them and just used old systems of phones, emails and faxes. We did not realise how much time we spent on that every day, now we are saving time every day, which is devoted to other causes, which add benefit to our businesses. We are yet to measure the actual minutes and dollars saved, but I am confident they will be substantial over time. I understand the supplier pays for the transaction, most of the major suppliers we speak to also recommend the system, even though they are paying, so they must also be ‘in front’ somehow, so, win win for all concerned. I especially like the clarity on the screens, I can see clearly my selling margin or gross profit, no matter which term you prefer, I know what to expect from each transaction. Other systems also ended up doing that, but Partscheck does it on auto pilot, all transactions are easily called up, history is available, and it manages the whole process, I am sure I will continue to learn as we go and exploit it further for an even better result. Business are all time poor these days, we burn hours all the time, Partscheck has given us some back. Thank you once again, great product, can’t wait to see it evolve even further." "5 quotes @ the click of a button!" "Since finding out about PartsCheck and implementing it into our business it has changed so much! No longer am I spending hours on the phone trying to locate suppliers, chasing down parts or their ETA's. It’s all there with a few clicks of a mouse. Prices, part numbers and you can see your profits from one supplier to the next. Being able to request Repair Procedures that are exact to the part we require replacing has been amazing. As soon as the prices are available, so are the procedures. We could not ask for a better service than that! The ParksCheck program and staff are amazing and you're always on top of everything. You have made my life so much easier in so many ways, we can't thank you enough." "We are happy to announce to all our panel repair customers, that the Performance Automobiles Spare Parts Department is now running with the PartsCheck quoting system. PartsCheck is a very easy to use, third party quoting and ordering system for all involved in the panel repair industry, both for suppliers and for purchasers. From our experience, their back-up and support is prompt and easy to follow. Whilst having no direct business affiliation with PartsCheck, we are happy to support and use their service, and help provide ease of quoting for all involved." "PartsCheck makes competitive parts sourcing easy. The simple to use web-based interface enables us to see at a glance where our best profit can be made. PartsCheck seamlessly integrates with our quoting package, saving us data input time and waiting on parts prices. PartsCheck helps us remain competitive in a tough market." "Cooma Crash Repairs use Parts Check all the time. 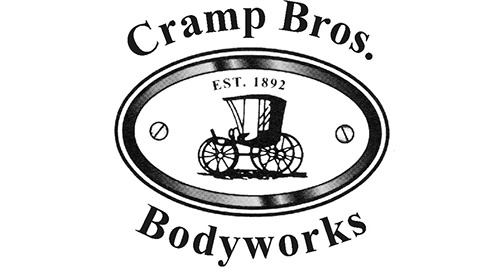 Really helps with parts and they offer good support if we have any questions." "Saves time & phone calls." 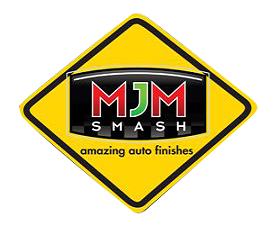 "Hi, I am new to the Smash Repair Business and have only owned a panel shop for 8 months. One thing I have found that is an absolute must for any Repair shop is Partscheck. The ease and speed that this has made to my quoting and pricing of parts is unbelievable. The time that this saves on every quote is amazing and I couldn’t do without it now that I have utilized it for the last 5 months. Thank you Partscheck and thanks to the customer service team that helped me through a few problems. Great work!" "McAully Smash Repairs has been an early adopter of the PartsCheck system and without a doubt I believe it to be the single best tool I have used for estimating to date. The ease of use and the seamless implementation with our current "IT” and processes has really given us a boost and freed up the limited resources available. I cannot recommend PartsCheck highly enough to repairers and I am grateful for David, Matt and the whole PartsCheck team for there genuinely enthusiastic and passionate approach to helping this industry." "I have found since getting on board PartsCheck I have access to a lot more suppliers to buy parts through that I might not have found otherwise. PartsCheck has streamlined my parts sourcing process. I can send quotes out to multiple suppliers all at once from all across TAS to really expand my options with in just a few clicks, I no longer have to manually type my part numbers and prices in." "With the elimination of incorrect parts supplied, along with a phenomenal amount of time saved, I would have to say "we wouldn’t want to be without it ."" "Since 2010, Parts Check has given Makin and Luby the opportunity to compete with second hand and after market parts suppliers which in the past was very difficult. Parts Check is also a very effective and efficient way of integrating quotes and orders together while keep the customer in the loop with ETA’s and an inventory of what they have and haven’t received on an order. With a great program and exceptional customer service, Parts Check is a pleasure to use and be a part of." "PartsCheck has proven to be an absolute time saver for us! Being able to request parts prices and even order parts from several suppliers at one time without being on the phone for lengthy periods has been great. I was sceptical at first, but am now so glad I decided to give it a go. PartsCheck is very user friendly and the support offered is immense. Do yourself and your business a favour and give it a try - you won't regret it." "Southside Honda has been using "Parts Check" since the system was first released some months ago. Our "Parts Interpreters", and customers alike, are very pleased with this simple and efficient quoting/sales tool. Unlike the traditional methods of selling parts, "PartsCheck" allows us to at least see what parts are in demand in the market place. We are now able to quote on items that previously would have "slipped under the radar" and gone to alternate suppliers. Accordingly, we have now developed sales history for some items we previously hadn't stocked. I am only to happy to recommend "PartsCheck" to any interested supplier or repairer." "We have been using Partscheck since the pilot program and would now be lost without it. Partscheck allows us to process our customer quotes and orders more efficiently than ever, by having all our orders and quotes in one place which makes it very easy to keep track of. David and the team are always quick to reply with any issues and always come up with a helpful solution. If you are not part of it, you will be left behind, so get on board!" "I have 2 shops using PartsCheck and Carquote, as soon as we registered we noticed a huge difference. It saves us heaps of time quoting and ordering parts, which has led to an increase in workload as we are able to spend the time in other areas of the business. I can't believe how efficient we are now! " "We use PartsCheck in our business every single day. I love the way I can send part prices requests away at stupid o’clock in the morning when I’m up early doing quotes and forget to ring up at 8am.Because everything is documented and you can send photo’s it has reduced incorrect ordering and supply of parts. It has been a great addition to our business." "I was pleased to see a little mention on Parts Check. For anyone that isn’t using parts Check – do yourself a massive favour and get on board. Seriously – do it today!!!! 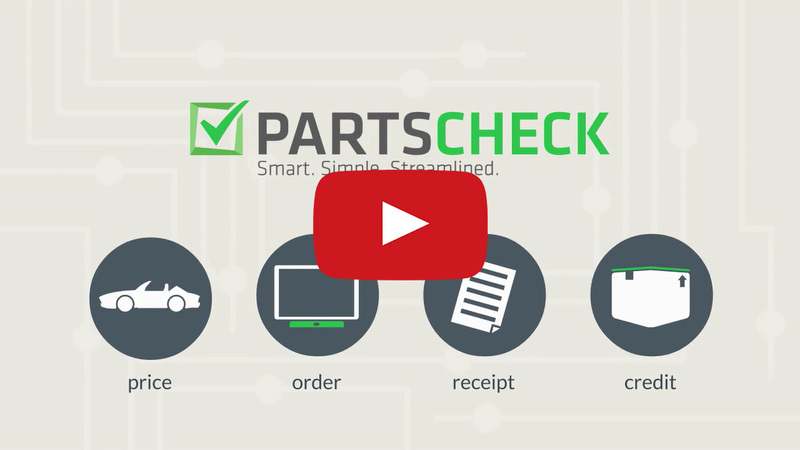 Parts check will save you so much time in chasing parts, data entry and re-ordering. I have been using parts check for some months now and have seen my margins increase (i know hard to believe in the panel industry) and also parts are confirmed and my strike rate on correct parts arrivals is getting close to 95%. Just save yourself some time, find suppliers on the list you already use and they will enter part numbers & prices for you, loads into your system only when you want it to and is a blessing to the data entry people. This one is definately a time saver." "I have been using this system for 6/8 months and it is a fantastic! I would never go back to ordering the old way again as I save so much time not having to ring around for prices. I have found the staff to be very helpful, especially John Stokes, he is a credit to your company as he is always there when I need him, even early in the morning. I would recommend anyone in the automotive industry to jump on board PartsCheck and give it a go. Keep up the great work!" "We have been members on PartsCheck for several months and have found the program very easy to use. It gives us a bit more time to quote more accurately. It also gives us more information on order delivery dates and back order eta’s. As our industry changes we have to keep up with our customers' needs. To ensure that we work in partnership with our repairers efficiently, we need to move forward together." "After many years of being a nonbeliever I thought it was time to move forward and give it a try. Just one day of training was all I needed to be up and running with the programme. I'm now kicking myself for all the lost hours I have spent on the phone and entering data. It has given me so much more time to run and organise my business. There's no looking back now." "While sceptical at first we trialed PartsCheck to support requests from our local repair network.We are always looking for ways to assist our repairers to make it easier for them to do business with us and PartsCheck has done just that.The interface is clean and hasn’t increased our interpreters work load sometimes reducing it as photos etc are at hand when quoting, reducing the need for them to be requested. PartsCheck has also enabled us to see where we are losing business and adjust to meet the needs of the market." "I Chris Agnew at Sommerville smash repairs have been using parts check for the last 3 months and have found it to be a valuable tool for my business as it has helped us immensely in the application of parts number entry as we have never had any success with vqs being able to supply us with this function, not to mention the easy to use format in which the web page is laid out, the dealer ships have welcomed the product . Mainly it has taken the guess work out of choosing the correct part for the quote, which has been valuable when our estimator is constantly handling a dozen quotes or more at any 1 time"
"Diplock’s Collision Repair Centre have been using Parts Check for approximately 6 to 8 months. During this time, we have found this program to be invaluable. It has made the processing of our quotes very time efficient and we have found the parts prices to be accurate and up to date. Dave Taylor, owner of Parts Check has provided constant support. We, the staff at Diplock’s Collision Repair Centre, would recommend Parts Check as an asset to any business." "Parts Check is a simple easy to use web based package that I believe is a must for any body shop. Choose your suppliers OEM, Recyclers, Exchange etc. email off your parts request with a required response time and watch your ability to provide the correct part at the right price every time." "Parts check has been a god sent for us. Since using parts check it has eliminated a lot of double entering of parts numbers & prices for our parts dept and a lot of time on the phone chasing best prices. Literally by the click of a button we will have access to several of our suppliers part number & prices for all quoted parts. We then select the items that are best by a click of a button & automatically we can import into our estimating system & place an order for the parts. Parts price comparison & ordering done! And it is No cost to the Repairer." ""Parts Check" is the best breakthrough in the Automotive Part industry I have seen in the last 35 years. Not only does it greatly increase "Genuine Parts Sales”, it turns your department into a more efficient Business. Through reduced phone and fax time not being used, we can increase our customer service in other areas. 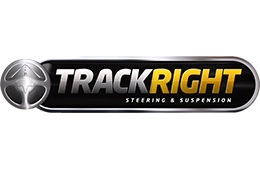 Congratulations on this amazing system, we can definitely recommend it to any genuine Parts Supplier." "Partco Agencies is an OEM parts supplier for 16 OEM franchises and has been established for 18 years. Parts Check has made our job so much easier with the pricing and service of parts to all our customers. This gives dealers greater opportunity to quote on parts that would normally be sourced second hand .All orders are emailed so there is less confusion with VIN numbers, interpretation, and photos can also be added to help ensure the correct parts have been supplied. This in turn helps with a more comprehensive quote for the repairer. We recommend PartsCheck to both dealer and repairer networks." 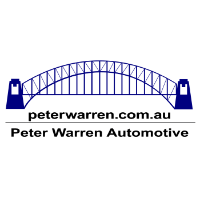 "Fetter's Auto Parts has been established for over 60 years in Melbourne and is dedicated to supply quality recycled and new OEM spare parts to the automotive repair industry. 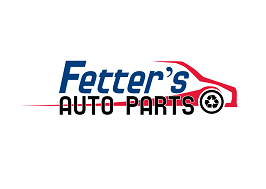 Fetter's Auto Parts is a supplier to the PartsCheck network. We have found PartsCheck to be a very good tool to easily quote and sell our parts. PartsCheck offers an opportunity for us to quote accurately to a large number of panel shops in a cost effective and user friendly manner. Quotations using PartsCheck are very comprehensive and can include images to help us quote extensively, often on more items than with phone quotations. 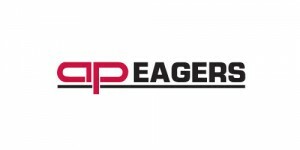 Fetter's Auto Parts recommend repairers join the innovative PartsCheck network." "Parts Check. Could not be without it now , used it since day one saves a lot of time & effect getting prices." ""Parts Check" - best compliment to any Estimating Package yet! Recently converted to PPG with all three locations now able to parts control as one unit. Dealers only have positive feedback and systems work effortlessly." "We are currently using PartsCheck and find it incredibly useful and efficient to price and order parts. I find their training and support very helpful and the team are always happy to assist with any problems. I would recommend PartsCheck to any repairers that wish to improve their business." "Why have we had to wait for so long until someone came up with this product??? Thank you Parts Check!!!! The time saving is fantastic, the extra dollars we can make by sourcing the best price is great, the time saved on data entry. If you‘re not on this system you‘re crazy and it‘s FREE to us repairers." "We are pleased to advise all customers Downtown Toyota can and is supporting the Parts Check Quoting & Purchasing Program being made available to many crash repairers across Australia. I have attached a brochure for those customers not familiar with this product. Downtown Toyota is not involved in this business but I can recommend it as a very worthwhile tool for you to assess." "We have found PartsCheck to be fast, easy and efficient and we save a considerable amount of time by not having to enter in data or wait for quotes to be returned. As PartsCheck saves all quotes, we can go back and quickly search for an old one and make the order when it is required. The support team are also very helpful and friendly and always get back to us when we they say they will." 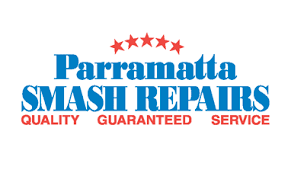 "Willmot Smash Repair Specialist Pty Ltd implemented PartsCheck.com.au into our estimating processes for over 6 months now and has proven to increase efficiency in our frontline. We have worked closely with Dave Taylor and PPG (Hugh McBride) to identify small glitches in the systems which were always promptly solved. This has been an interesting challenge to our advantage where parts quoting and ordering is now simplified and paper-free Willmot Smash Repair Specialist Pty Ltd would highly recommend not only to other repairers but part suppliers also to highly consider making PartsCheck.com.au a part of their daily processes." "My experience with Partscheck has been fantastic, the transition was really easy. I have found that Partscheck is very simple to use and saves me a lot of time in sourcing part prices from different suppliers and comparing those prices to get the best deal. I can now track all my parts and prices in one place instead of multiple emails and phone calls. I no longer have to manually type in part numbers and prices line for line. Partscheck uploads this all for me into my quote package and I get my quotes on time when I want them so I have more time to focus of other areas of my business." "The Parts Check programme is a straight forward easy to use system, with great backup support when required."